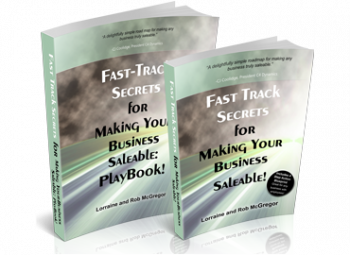 Note: This blog post is part of a series on the secret sauce ingredients that grow a company to the next level AND make a business saleable. Each week we will put the spotlight on a particular industry to highlight what changes need to be made to improve profitability, breakthrough growth barriers and be ready 2-4 years before your exit date to be attractive to buyers. To know more about how to do any of the strategies we suggest, you request a complimentary 30 minute consultation. Let’s help you get started. Where Are the Risks & the Gold Hiding in Your Business? I’m walking through a cavernous warehouse. Neatly labeled boxes and bins are stacked to the rafters. Forklifts zip by me on the way to packaging and expediting. There is a low hum of voices as staff exchange the critical information needed to find, assemble and ship an order in the fastest time possible. The shelves represent hundreds of thousands of dollars in inventory. I wonder if it is all saleable. I wonder if the sales department is actively working to bring in more customers or are they order takers processing paperwork? I wonder if the amount of time it takes to get an order assembled and shipped is an acceptable length for the customers who buy the most. I wonder if the owners know which customers buy the most, when and why. I wonder if what they manufacture is what their target market still needs and will want more of. Then I wonder who owns all the relationships with the customers. Then I start to see the opportunities that might not be immediately apparent to the casual observer. These are the lenses that we look at when helping a business grow to the next level. These are some of the barriers to growth that stand out for us like a red sky at sunset. If you own a manufacturing company that sells the products you design and make either directly or through distributors, you will want to learn to see your business operation in the same way. This critical strategic thinking skill will turn your business from inconsistently profitable, to predictably profitable and you from worrying whether you will sell all that you carry to earning revenue on all that you design, before you even produce it. This critical strategic thinking skill will allow you to make the right changes inside your business so your company becomes an asset in your portfolio that you could sell at any time. 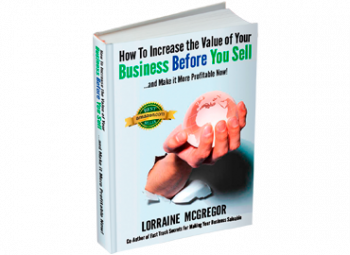 Don’t wait to make your business saleable the year you suddenly feel like, or have to exit. You want to capitalize on all that you have built by selling it before it’s peak… just like you would with your stocks. And then move on to the next asset or next act. Do you sell directly to your end user or through a middleman? If you sell directly, it is essential to know why the customers who buy the majority of your products keep coming back. Is this group growing or shrinking the total amount they buy? What do they value in buying from you and what bothers them? Do more of what they do like, and fix the problems they don’t like. For instance, if your products are sold to people who are experts in their field, their likes and dislikes might be quite different than if you sold your products to consumers who don’t know what they don’t know. Once you find out you can build service solutions, education, and other value based, revenue generating offerings that your ideal target market has told you they want. If you sell to end-users through the middleman, that distributor is your customer too. Their business success depends on your ability to make them look good to the end user. What do they need to help them be more successful? 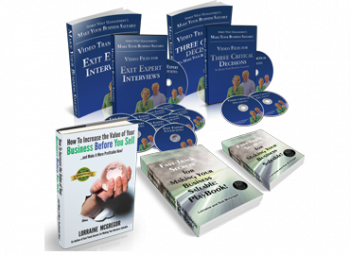 Invest in the distributors that provide the majority of repeat revenue for your business. Discover their likes and dislikes. Then build them the solutions they need that will generate new revenue for both of you. Look at the next two tips for ideas. Are less than five customers or distributors responsible for more than 80% of your revenue? That’s a big risk. It’s time to change this ratio. The next tips will contribute to re-balancing this situation many owners don’t realize is a problem. As you work through your market research on what your biggest customers want more of or less of, you want to look for ways to be of service, add value, be their expert, and make things easier all the way around. Which of many options do you select to develop into new products, solutions or services? Those that provide the best value according to your customers and that provide the best margin growth for your business. Service revenue has a low cost of goods sold, which equals higher margins. As you solve these problems, you will attract new and more sophisticated distributors and customers which will reduce your revenue risk. Case in point: a manufacturing business often received calls from the experts they sold to asking if they could solve custom problems. They would go into the lab and come up with the solution and then sell it by the pound or length. If the customers trust them to solve problems, then charge for it. The solution is to sell them the design and development service first, then sell them the end-product. Margins increased by 15%! Is your business leaving money on the table? No one likes to hear bad news about their business. When you hear complaints, it often means that someone is to blame. Throw out this culture-destroying, productivity sapping, and profitability draining habit! Complaints are gold. Go in search of them internally and externally. Listen eagerly. There is gold hiding in every one. Complaints are actually ideas for how to do things better, disguised in language and judgemental cynicism that people choose to react to… and the gold is kicked to the curb in hot pursuit of who should be responsible. The trick to spinning straw into gold is to dedicate an empowered team to collecting the complaints, tracking the issue to the root-cause and doing it without fear of retribution. the root cause, your team starts to see solutions that will empower the company, customers and distributors to breakthrough frustrating and mind-numbing barriers. Case in point: a firm was growing by leaps and bounds but couldn’t get their invoices out in time. The net effect? Inconsistent profitability, a growing credit line, no cash for bonuses and a very demoralized staff. Everyone blamed accounting… until accounting was given permission to trace the domino effect of the complaint. What did they discover? The billable consultants felt it was a badge of honor to brag about how far behind they were in their ‘paperwork’ because they were so in demand by their clients. Until the entire company learned that their attitudes affected the company’s ability to pay bonuses. They now know that no invoices will be sent out without that ‘paperwork’… and they can’t blame accounting anymore. The net effect? The impact of a complaint can be a long trail of performance, profit and productivity problems. days, increase profit margins 1%, improve relations with key customers because your not behind in your paperwork, be able to pay bonuses, reduce reliance on credit line, reduce the costs of borrowing, improve the flow of information across departments, increased self-responsibility, metrics people look forward to hearing about, an aligned staff working on the same goal together. Ability to budget for growth. Cash flow available for growth. Where’s your breakthrough going to come from? If you want to explore letting our trained eyes look for your risks to get the gold, let’s talk. Schedule a free complimentary 30 minute call and get the hidden risks out of your business.